The search for extra space-time dimensions and new particles is about to get underway. CERN, the European Organization for Nuclear Research, has a new particle accelerator ready for launch. Called the Linac 4, the accelerator took a decade to build and is set to be connected and in use by 2021. Designed to be used in tandem with the Large Hadron Collider (LHC), scientists hope that the newly enhanced system will help them solve some of the most intriguing mysteries in physics. The Large Hadron Collider (LHC) has been connected to an accelerator launched in 1978 called the Linac 2, the predecessor of Linac 4. Linac 4 will provide new data as it delivers higher energy proton beams — three times as powerful as Linac 2’s. A series of test runs remain before the Linac 4 is officially connected to the LHC. 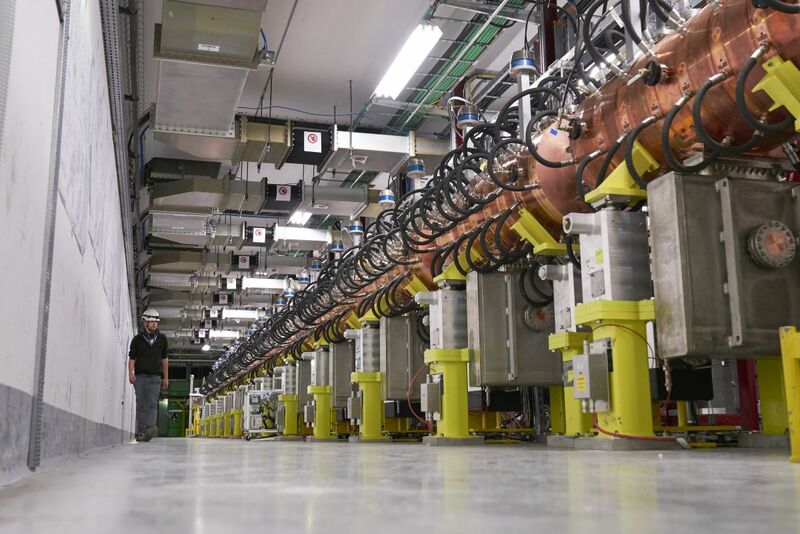 CERN plans to implement technical shutdowns in 2019 and 2020 in order to connect the Linac 4 and prepare the new system for use. Then, by 2025, it will be fully operational, providing a peak luminosity five times greater than its current capacity. This, in turn, should allow researchers to collect ten times as much data between 2025 and 2035. “We are delighted to celebrate this remarkable accomplishment. Linac 4 is a modern injector and the first key element of our ambitious upgrade programme, leading up to the High-Luminosity LHC. This high-luminosity phase will considerably increase the potential of the LHC experiments for discovering new physics and measuring the properties of the Higgs particle in more detail,” CERN Director General Fabiola Gianotti said in a statement. The existing configuration of the LHC and Linac 2 has already helped scientists to discover some amazing things. For example, in 2012, it proved that the Higgs Boson exists. Now, researchers are hoping that the latest version of the LHC and Linac 4 will help them find extra dimensions by studying anomalies in the Standard Model. If they’re successful, they may unlock the mysteries of dark energy and dark matter.